Screenshot of Superintendent Mark Johnson’s publicly-funded website. That’s because Johnson’s publicly-funded site launched last month without vetting by the Department of Information Technology (DIT), an agency that, under state law, is expected to review the financing and contracts for any state agency web page. No such review was conducted for Johnson’s site, according to Bill Holmes, Director of Legislative and Public Affairs for DIT. DIT Secretary and Chief Information Officer (CIO) Eric Boyette declined comment on the case, but Holmes said it’s DIT’s interpretation of a 2015 law that all state agencies must comply with the relevant statute. Holmes said a DIT official had an exploratory talk with a policy advisor to Johnson, Kevin Wilkinson, this year about the possibility of a new site, but nothing was agreed to during that conversation. The statute says the state CIO has “approval authority over all agency Web site funding, to include any agency contract decisions,” although it does not offer guidance for DIT on how to enforce their statutory power. Indeed, it’s unclear whether the agency has any power to enforce the law on Johnson’s office. In addition to advising state agencies on website development, DIT also develops and hosts the official sites for public officials from both parties, like Gov. Roy Cooper, Lt. Gov. Dan Forest, and state Labor Commissioner Cherie Berry. Holmes emphasized that DIT’s review would not have included an assessment of the site’s content, which has come under fire from Johnson critics who suggest the Republican superintendent is using his state position to boost his public profile for future elections. Some North Carolina political observers have speculated that Johnson – who was elected in 2016 – may be mulling a run for lieutenant governor in 2020. 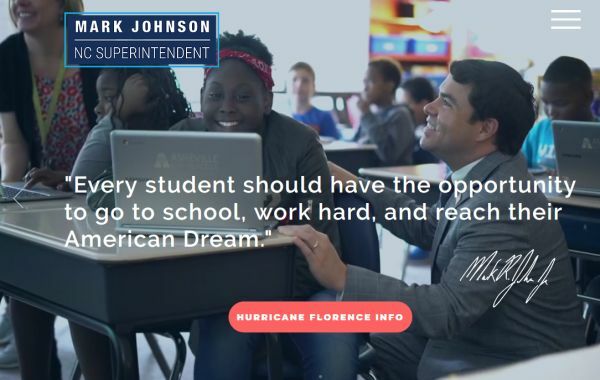 Johnson neither confirmed nor denied that in an appearance last month on “Education Matters,” a weekly K-12 policy show hosted by the nonpartisan Public School Forum of N.C. In many ways, Johnson’s site closely resembles a campaign page, touting Johnson’s top issues and achievements. It also asks visitors to sign up to receive updates from Johnson’s office. Elliot also pushed back against suggestions that the Republican is playing politics with the state-run page, comparing it to Cooper’s site. But if Johnson did break the law with this summer’s website launch, it would mark the second time in as many months that the superintendent has apparently run afoul of DIT. 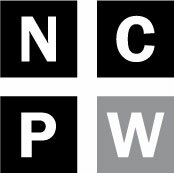 Policy Watch reported in August on a $6 million purchase of iPads spearheaded by Johnson’s office that should have been reviewed by North Carolina’s tech agency, based on the state’s contract with Apple. The iPad purchase also spurred ethical questions. Months before the multi-million dollar acquisition, Johnson and several influential state lawmakers held a private meeting with Apple representatives in Silicon Valley, in which the tech behemoth bought meals, hotel rooms and transportation for the state officials. Members of the State Board of Education – which oversees the state’s public school system with Johnson – publicly questioned the superintendent last month about his new web presence separate from DPI, as well as the Apple deal. Johnson told officials that the DPI site is outdated, and that his office saved the state money by creating the site outside of DIT, leading some to ask why the superintendent did not seek to upgrade the DPI page first. Asked Monday about the apparent oversight regarding Johnson’s webpage, State Board of Education Chairman Eric Davis said members of his board will defer to DIT’s expertise on the matter. “I am sure we will be having a conversation with the superintendent on this matter,” Davis said. Mark Jewell is president of the N.C. Association of Educators, a Raleigh-based organization that advocates for thousands of North Carolina teachers statewide. Jewell, who has been critical of Johnson’s office in the past, slammed Johnson over the website and the iPad controversy. Elliot said Johnson’s policy advisor, Wilkinson, designed the site free of charge, although he said DPI reimbursed Wilkinson for about $300 in costs for registering the site. Elliot told The News & Observer last month that the site cost $174 to build, and will have an annual expense of $9.92 to maintain. Johnson’s webpage, which he purchased from the private Internet registrar GoDaddy, Inc., has been dogged by controversy since its surprising launch this summer. Last month, some questioned why the Department of Public Instruction’s site, which is separate from Johnson’s personal web domain, shut down and directed visitors to Johnson’s site as Hurricane Florence made landfall in the Carolinas. 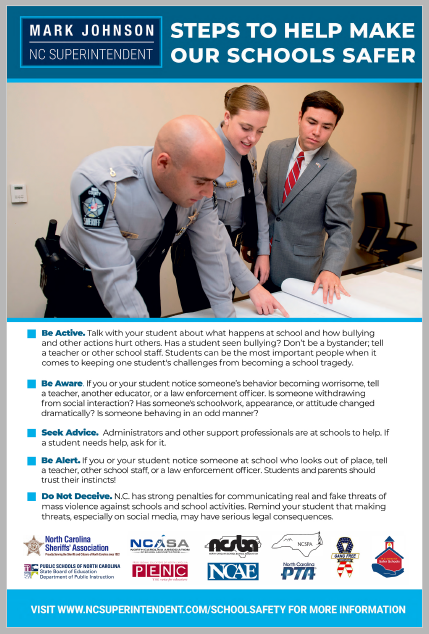 Policy Watch has also learned that DPI distributed school safety flyers in recent days that offer tips on how to head off school violence, but the flyer directs visitors to Johnson’s website for more information. In an email to educators last month, Johnson’s office asked middle school and high school teachers to distribute the flyers to students and parents. Justin Parmenter is a public school teacher in Charlotte who often pens op-eds on K-12 policy issues, including op-eds for Policy Watch. On Tuesday, he said the confusion and controversy over Johnson’s web presence is concerning to public school educators.